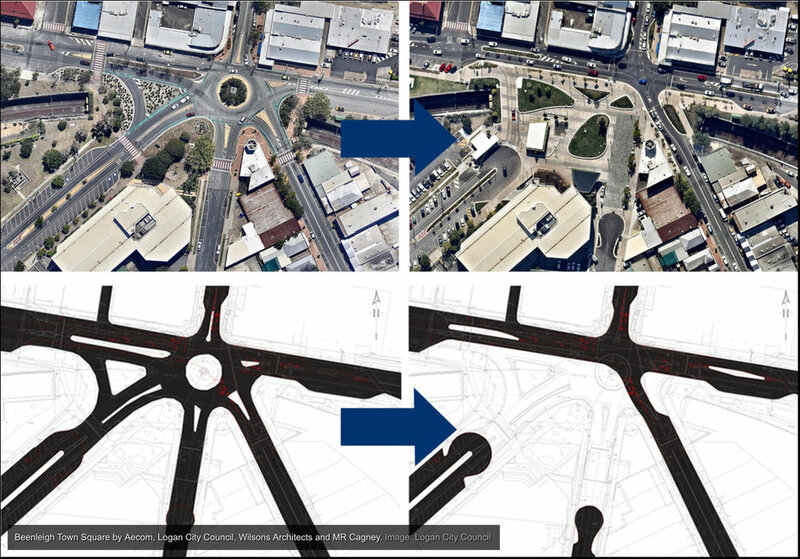 Beenleigh Town Square is a key urban space project designed by Wilson Architects in association with Aecom, Logan City Council and MR Cagney Traffic Engineers, has recently been transformed from a six way roundabout into a defined community centre. The development has been driven by a desire from the community to transform the physical heart of the town into a place of cultural exchange and activity. 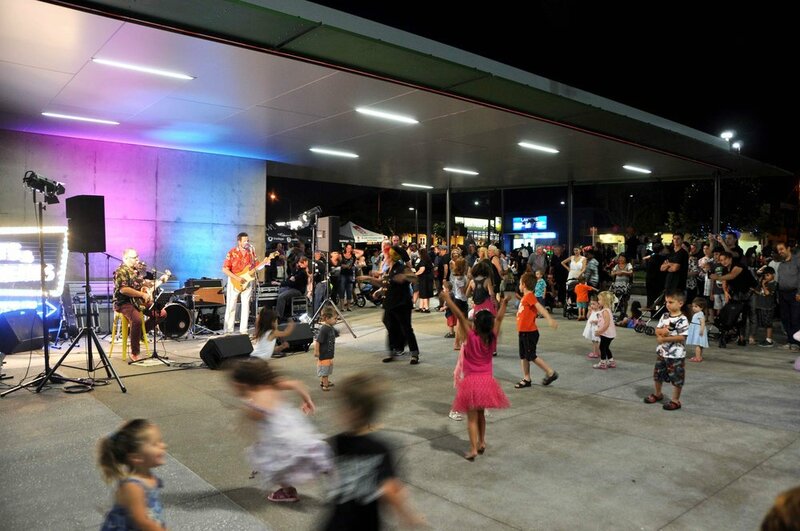 Beenleigh Town Square includes a civic platform, pavilion structure that may accommodate a future café and open-air market space, all of which will contribute to activating the centre and have significant economic and social benefits for the Beenleigh community. Beenleigh Town Square will contribute to Beenleigh becoming a welcoming and attractive destination for visitors, fostering Beenleigh's thriving small business community. The project was awarded Winner 2017 Queensland Deputy Premier's Award for Urban Design.